Continuing translations of Key Concepts in Intercultural Dialogue, today I am posting KC#27: Globalization, which Shiv Ganesh and Cynthia Stohl wrote for publication in English in 2014, and which Anastasia Karakitsou has now translated into Greek. As always, all Key Concepts are available as free PDFs; just click on the thumbnail to download. Lists of Key Concepts organized chronologically by publication date and number, alphabetically by concept, and by languages into which they have been translated, are available, as is a page of acknowledgments with the names of all authors, translators, and reviewers. This Special Issue of The Journal of Intercultural Communication Research (JICR) invites papers that advance internationalization of the communicaton curriculum and/or global education experiences through the application and integration of communication theory and research. The goal is to disseminate instructional approaches, ideas, and activities that bring a global perspective to the communication curricuum, and to generate an on-going discussion about the pedagogy of internationalization for intercultural competence in an era of globalization. According to the International Association of Universities, an increasing interdependence among nations as well as intensified mobility of goods, ideas and people has had the effect of making internationalization more of an institutional imperative . Responding to this mandate, universities around the world have begun to participate in the higher education internationalization process in diverse ways, including expanded recruitment of international students, study-abroad programs, dual/joint degrees, and the development of international branch campuses. In the United States, international students will more than double from three to over seven million annually from 2000 to 2025 (Banks et al. 2007; Haddad 2006). Conversely, the United States and other nations recently have experienced a surge in nationalism that will challenge internationalization efforts by universities and faculty (e.g., Brexit, US/Mexico Border Wall) in all disciplines. Given the trend towards globalization and its resulting internationalization of our campuses, it is timely to: 1) review the current limitations of the communication curriculum and revise it appropriately to adjust to the new global environment, and 2) integrate the knowledge and skills of the communication discipline with other curriculum to support the development of global citizens in all countries. – internationalize assignments, courses or sub disciplines in communication (e.g., interpersonal communication, organizational communication). – Integrate communication theory or research into domestic, global educational experiences. Manuscripts may have one of two foci. The first is a review and application of communication theory and literature to a curriculum or subject area in or outside of the communication discipline to support internationalization (3,500 – 4,000 words). The second is a detailed presentation of pedagogical activities that demonstrate a use of communication theory or literature that brings a global perspective to a class, unit activity, or semester activity (2,000 – 3,000 words). All manuscripts must demonstrate a substantive connection to communication theory and research while articulating a clear pedagogical practice and impact on social or curriculum goals. Abstracts of 250 – 300 words should be submitted by July 1, 2017 to Esther Yook. Selected authors will receive an invitation to submit full manuscripts for consideration by August 1, 2017. Completed manuscripts are due November 1, 2017. Contact co-guest editor Paaige K. Turner or Esther Yook with questions. Supported by the National Communication Association Task Force on Facilitating International Collaborations. Continuing with translations of the Key Concepts in Intercultural Dialogue, today I am posting KC#27: Globalization, first published in English in 2014, which Min He has now translated into Simplified Chinese. As always, all Key Concepts are available as free PDFs; just click on the thumbnail to download. Lists of Key Concepts organized chronologically by publication date and number, alphabetically by concept, and by languages into which they have been translated, are available, as is a page of acknowledgments with the names of all authors, translators, and reviewers. Technological convergence, or the blurring of lines between formerly distinct media, has had a tremendous impact on the work journalists do. For one thing, it has contributed to the processes of globalization that have brought people into greater contact with cultural others. For another, it has made it possible for an ever smaller group of corporations to control an ever larger share of the media. As a result, journalists must become proficient with more aspects of production (combining video, text, and images) while reporting on a wider range of people and cultures and responding to the economic pressures that come with the concentration of media ownership. This book will look at the ways journalists are making sense of and adapting to this changing environment. It will focus on those moments when they gather information in languages that their audiences do not speak. It will ask, what technologies do they use as they collect information, transform it into a story, and disseminate it to their readers, viewers, and listeners? It will examine questions of translation in the broadest possible sense-from the re-expression of bits of speech or text in a different language, to the rewriting of partial or complete news stories, to the explanation of how members of a foreign cultural community interpret an object or event. – In what contexts do journalists indicate that a source spoke or wrote in a different language? – What modes of translation (e.g., subtitling, voice-over, etc.) do journalists use? – Do journalists favour different modes of re-expression on different platforms? – What strategies do they adopt for cross-platform or multimodal distribution? – How do they adapt the same news story for multiple formats? – Do ideas of newsworthiness vary depending on the platform? – How visible are multilingual contexts for audiences? – Do convergence phenomena contribute to the globalization or the localization of news? – What are the implications of journalists’ practices for how audiences perceive cultural others? To propose a chapter, please send an abstract to multilingualism.convergence@gmail.com. Abstracts should be 500 words long and submitted as .odt, .doc, .docx, or .rtf files. Proposal deadline: January 15, 2017. Initial acceptances sent: February 15, 2017. Deadline for full articles (6,000-8,000 words): May 31, 2017.
affiliations, email addresses and mailing addresses for all authors. 3. Workshop proposals relevant to the conference theme may be submitted. Deadline: Please submit abstracts by January 11, 2015, and panel/workshop proposals and roundtable discussion sessions by February 1, 2015. Cynthia Stohl is a Professor of Communication and an affiliate faculty member in the Center for Information Technology and Society at the University of California, Santa Barbara. She received her Ph.D. from Purdue University in 1982. 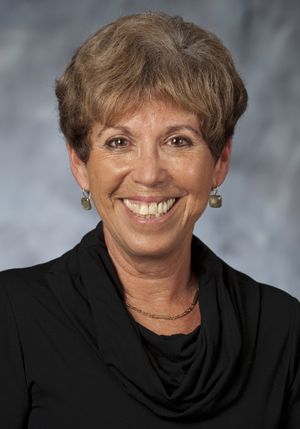 Prior to joining the UCSB faculty in 2002, Professor Stohl was the Margaret Church Distinguished Professor and Head of the Department of Communication at her alma mater. A Fellow of the International Communication Association, a Distinguished Scholar of the National Communication Association and Past President of the International Communication Association, Professor Stohl is recognized as a leading scholar and teacher in the area of globalization and organizational communication. The author of two award winning books and more than one hundred articles and book chapters, Professor Stohl’s research focuses on global organizing and “connectedness in action.” Her studies are grounded in questions of social responsibility and empirically explore the ways in which organizations and their members constitute models of citizenship and develop stakeholder networks in the new media environment. Her most recent book Collective Action in Organizations: Interaction and Engagement in an Era of Technological Change published by Cambridge University Press (2012) was co-authored with UCSB Professors Bruce Bimber and Andrew Flanagin. 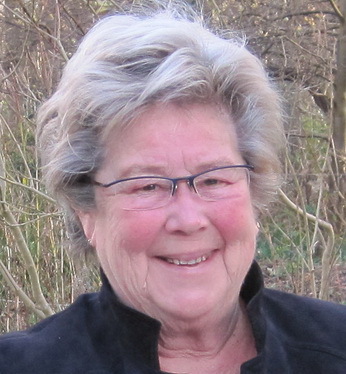 In 2007 Professor Stohl was a recipient of the UCSB Distinguished Teaching Award and in 2011 she received the New Zealand Federation of Graduate Women Scholar Award. She has been a visiting professor in Denmark and New Zealand and a featured speaker at conferences and universities throughout the world. For many centuries, the East and the West have been entangled in dense networks of communications and commerce. Yet only in our current age of globalization, influenced by a generation of media theorists shaped by the emergence since the 1970s of digital media, has it become customary to interpret these networks as a distinctive social relationship with a pervasive and enduring influence on culture, economics, politics, and international relations. For these theorists, media is more than a representation: in addition, and more fundamentally, it is an institutional practice laden with cultural meaning. Media scholars in Asia, Europe, Australia, and North America from disciplines that include but are not confined to history, sociology, political science, literature, anthropology, geography, and media studies share a commitment to increasing our understanding of these networks so as to enhance mutual understanding, foster a common research agenda, and nurture an academic community that lowers cultural barriers. To promote this goal, a conference on the theme of “Networking East and West: Communications, Commerce, Culture” will be convened in Renmin University, China, on July 11 -12, 2014. The papers in this conference explore the conflicts, commonalities, and contrasts that have shaped communications networks linking East and West, with a focus on China, the Pacific Rim, and the United States in the period between the mid-nineteenth century and the Second World War. The call for papers is intended to encourage submissions on a broad range of topics from various disciplinary perspectives. Possible topics include: journalistic ethics, technology transfer, telegraphy, print culture, and media theory. Papers need not be explicitly comparative, though all should address the conference theme. Participants should send the texts of their proposed papers by June 1 to the organizing committee at mediaculture2014@163.com. Successful proposals will be announced on June 15. Participants are responsible for their own transportation and accommodation expenses. 1. The proposed paper can be written either in English or Chinese. 2. The paper’s content shall be relevant to the conference theme. 3. English-language papers shall be 6,000-10,000 words long; Chinese-language papers shall include 8,000-12,000 characters. 4. Papers will include: title, name and introduction of the author, abstract, key words, main body, annotations, etc. For the Chinese-language papers, authors are required to supply an English-language title, abstract and keywords. There is no such requirement for English-language papers. 5. All citations shall be formatted as endnotes in accordance with the conventions described in The Chicago Manual of Style (CMS). 6. Proposals shall be sent to the organizing committee before June 1, 2014 in Microsoft Word format (.doc/ .docx). Marieke de Mooij, Ph.D. (Netherlands), Doctor in Communications, is a retired profesora asociada at the University of Navarre (Spain), worked as a consultant in cross cultural communications, and has been visiting professor at various universities around the world. Her research has been focused on the influence of culture on communication, media, advertising and consumer behaviour in a broadest sense. Since the 1990s she has analyzed an enormous amount of data on communication and media behaviour, including the new media. One of her main conclusions is that globalization does not lead to converging communication behaviour. Instead, communication behaviour across cultures is diverging instead of converging. She is the author of several publications on the influence of culture on marketing and advertising and communications. Her books Global Marketing and Advertising, Understanding Cultural Paradoxes (fourth edition, 2014), Consumer Behavior and Culture. Consequences for Global Marketing and Advertising (second edition, 2011), both by Sage Publications (USA and UK) are used at universities worldwide. A new book on communication theory around the world is published by Springer International (2014): Human and Mediated Communication around the World: A Comprehensive Review and Analysis. This book offers a comprehensive review and analysis of human communication and mediated communication around the world. It challenges the assumption that Western theories of human communication and mass communication have universal applicability. The book covers the influence of culture on interpersonal communication, all sorts of mediated communication and mass communication. It presents communication theories from around the world, incorporating a vast body of literature from north America, Europe, Asia, Africa and Latin America. It also offers an integrated approach to understanding the working of electronic means of communication that are hybrid media combining human and mediated communication. For more information, and access to publications, see her website.